By James H Flynn Jr. 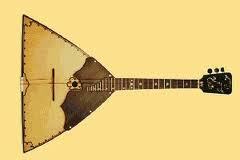 This entry was posted in THE PLUCKED STRING INSTRUMENTS and tagged russian balalaika. Bookmark the permalink.